It’s almost time to welcome the fall 2018 students into your Extended Opportunities, Programs, and Services program. As you’re planning what supports and resources you’ll offer, have you considered providing financial literacy? Many EOPS students have been managing money successfully for a while now. Why not help them go to the next level? Book the most dynamic financial education speaker working today, Shay Olivarria, to provide a live workshop or live webinar for your students. To book Shay at your next event call (323) 596-1843. S hay Olivarria is the most dynamic financial education speaker working today. Previous clients include: Gateway Technical & Community College, SCE Credit Union, American Airlines Credit Union, and San Diego City Community College, among others. She has written three books on personal finance, including Amazon Best Seller “Money Matters: The Get It Done in 1 Minute Workbook”. 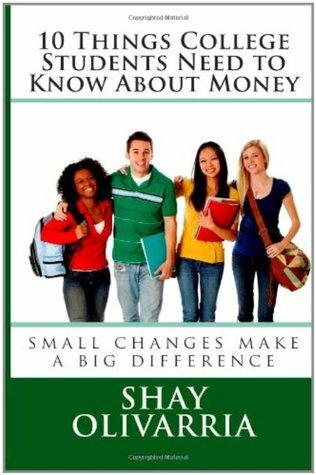 Shay has been quoted on Bankrate.com, FoxBusiness.com, NBC Latino and The Credit Union Times.The 2nd edition of “10 Things College Students Need to Know About Money” is available now.